Trying to find something a little different this year? 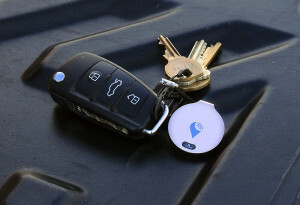 The TrackR (pronounced “track-R” is a great little gadget for distracted dads prone to losing their keys around the house, or even around town. 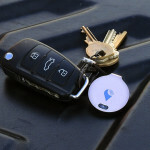 It looks like a little key charm, but thanks to a low energy Bluetooth signal that will connect to any phone running the TrackR app. It can locate the fob in your house, where it will make a high pitched whistle, or in metro areas where anyone running the app within 100 feet can pick up its digital scent and relay it to you. The accompanying app can’t show you where in the house your keys are (yet), but it can show you where they are on a map of the city. At only $29.99, this is a fun and edgy device that answers for some a crying need. After Google helped spearhead a cardboard version (the project artfully named “Google Cardboard”), suddenly virtual reality is affordable for anyone with an Android or iPhone. You can find iPhone/Android holders for less than $5 on Amazon and there is a growing library of software to allow dad a chance to experience virtual reality for himself. For about $30, there are higher rated holders though most seem to be geared more for Android phones than for iPhone. Apps range from 3d experiences like roller coaster rides to mystery walk-throughs and “in-person” visits of sites and cities. This is an easy hit, especially for a dad who might not get one on his own, or isn’t aware that you don’t have to shell out $2K to try this out. We bought the EightOnes VR Kit and while made of cardboard, it makes for a great intro into VR. It’s very, very easy to use. Note that apps are limited on iPhones, but there’s enough there for a wow factor. 3. We love the LightMate Emergency LED Flash Light. It’s got a big LED beam, tough as nails and doubles as a USB phone backup battery in a pinch. Back in my day, there was the Maglite, and the LIghtMate builds on this tradition of high quality “professional” torch. And at only $29.95, it’s a great price for something that feels like it will last forever. The light itself is hugely strong and also has automatic flashing modes for emergency signaling. As an added feature, it even has an added emergency window breaker if you are one of those people who have a secret fear of being in a sealed car that has gone off the road and into a lake or river. Selfie sticks are the rage in every tourist capital of the world right now. On a recent trip to Rome, we were able to get prices down to 4 Euros. We passed since the novelty had worn off. Back home again, the need for a selfie stick comes up again and again when we need just the right angle for a photo. I don’t ever want to become “one of those people” who live through the photos thye are taking with themselves as the center, but a good selfie stick does has its role. 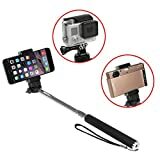 The important thing is to buy one of high quality since the most common complaint, well above failing electronics, is “my selfie stick dropped my camera!” We tried “The Selfie Stick” from GoTech and while it’s similar to many on the market, this one is solidly constructed. None of these devices that I’ve seen so far have a mount where you’ll feel comfortable swinging around your phone for very long. They all use some sort of spring-loaded grip that looks like it will hold tight at first but might weaken at the wrong moment. Okay, it’s not really electronics per se, but rather a mix of fashion and absorbent micro-fiber functionality. The larger size can even double as a pocket square. They really do clean up as miraculously as they say.